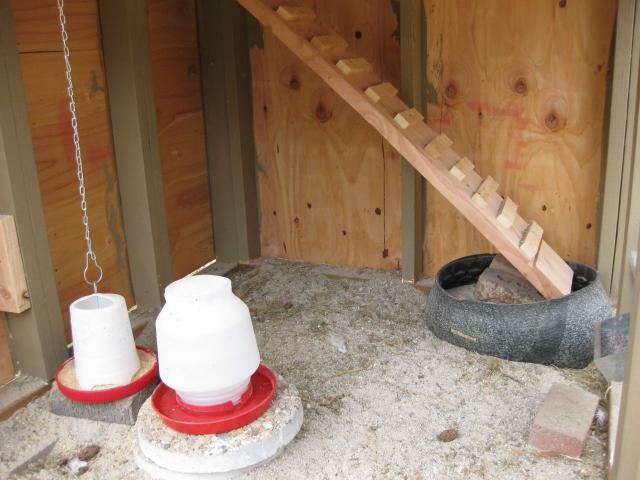 Food and water are under the coop. 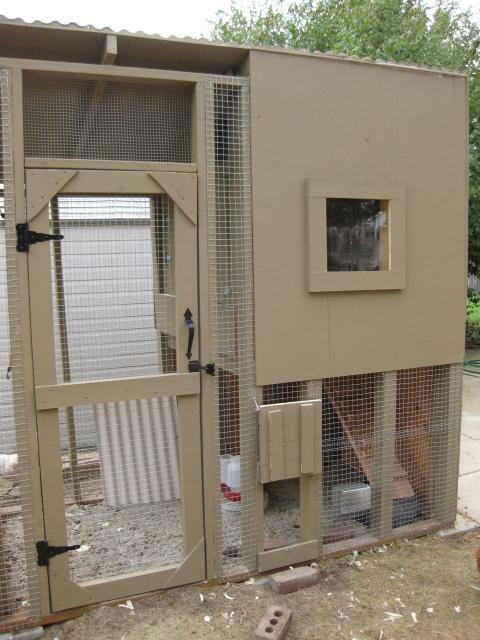 Two of the walls under the coop are plywood, rather than wire for a little more weather protection from the wind/rain or hot sun on the south and west sides. 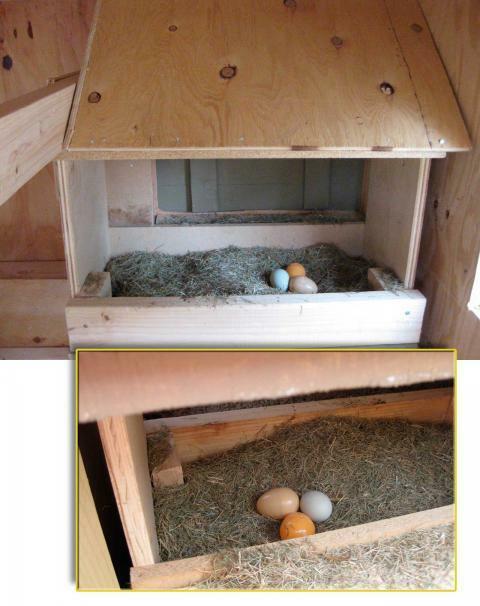 A 18"x12" nesting box is shared by our four hens. You can see two plastic eggs and a Easter Egger's blue egg. 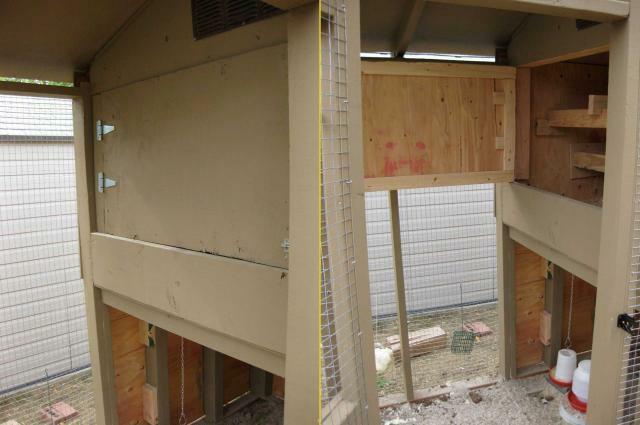 Two 2x4's up high are just right for the two Easter Eggers to roost on--they're removable for cleaning days. 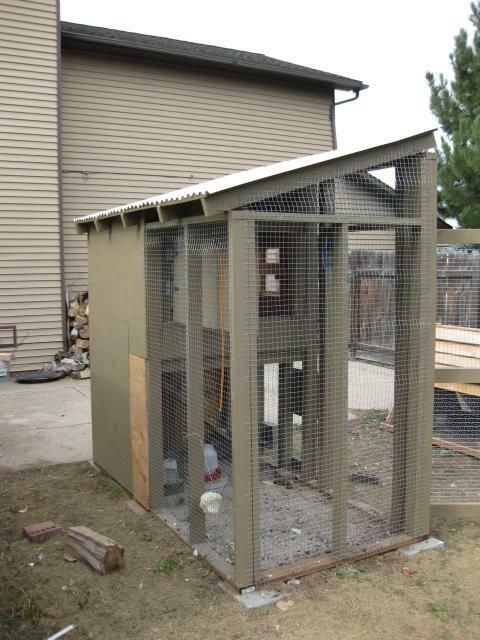 On the left you can see the lower roosts for the bantams, who don't always like to jump up to the higher roosts. I've removed them now, they proved to be unnecessary. 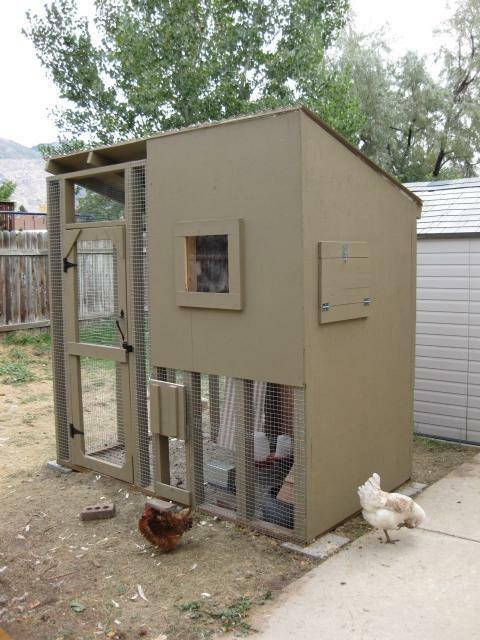 In the summer, we open the coop for cooler nights. In the winter we close it. A vent (partially visible) above this door helps with ventilation along with the always-open door in the floor on the opposite side. 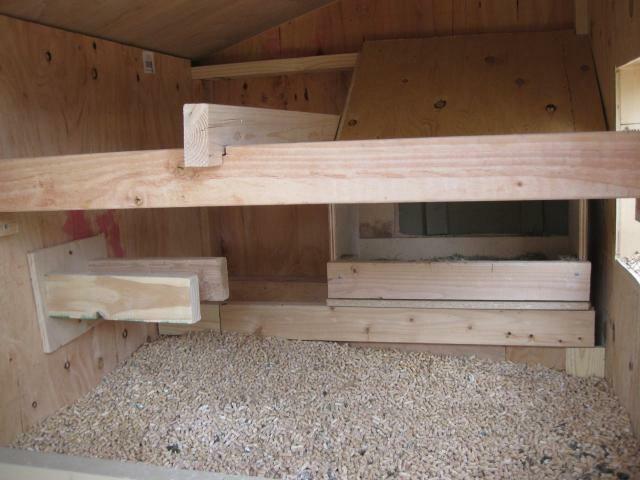 We have a foot of space available on the floor for pine pellets to absorb the moisture out of the droppings. I never have problems with odors. More detail would help others replicate what you've done. Nice! 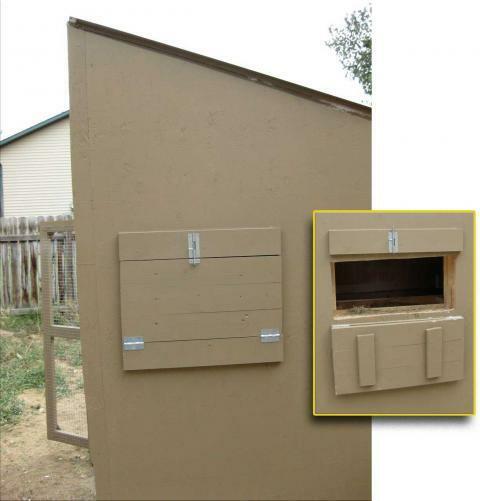 How easy/expensive was it to build? 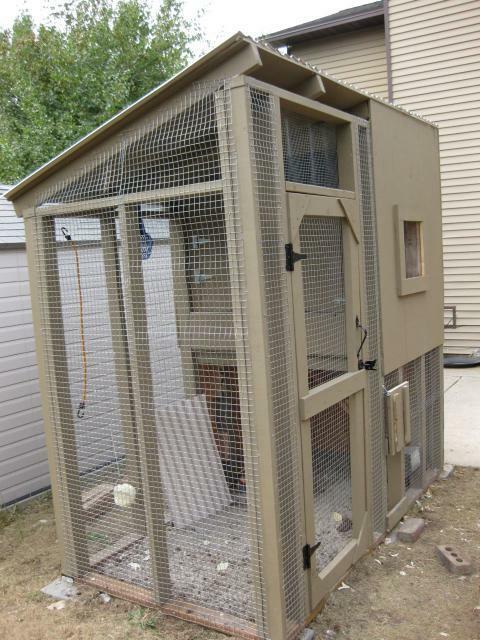 How is it having chickens off the patio?